IF YOUR TOOTHPASTE SAYS IT REPAIRS YOUR TEETH CHECK FOR NOVA - ProudMummy.com the Web's Community for Mums. 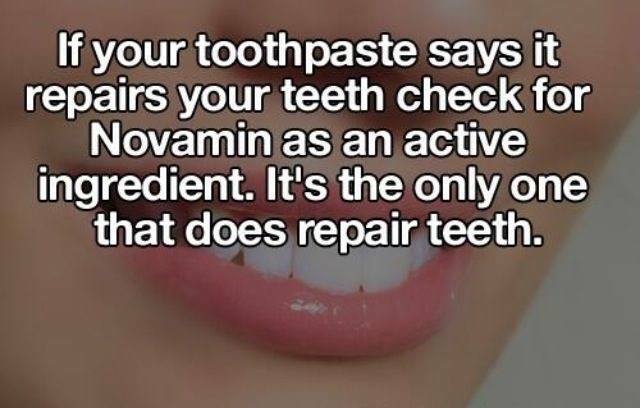 IF YOUR TOOTHPASTE SAYS IT REPAIRS YOUR TEETH CHECK FOR NOVAMIN AS AN ACTIVE INGREDIENT. IT'S THE ONLY ONE THAT DOES REPAIR TEETH.